Since 1993, Pujo Street Café has been serving up eclectic dishes with Louisiana flair in Lake Charles. The extensive menu features fresh seafood, steaks, pasta, and sandwiches, with something to please every palate. Visitors frequently begin their meal with the Oysters Pujo, one of the restaurant’s signature items. “There’s six of them to an order, and they are just the right size,” says owner Dan Schaad. The appetizer features Gulf oysters that are encrusted with panko and pecans, then flash fried and baked in an escargot dish with a sauce of tasso, smoked gouda, and spinach. The Oysters Pujo are a prequel to the restaurant’s incredible entrées, which include favorites like the French Quarter-Onion Burger and Chipotle Pepper Linguine. Don’t leave without trying the Bread Pudding with Rum Sauce or Chocolate Mousse Cake. Photo courtesy of Drago’s Seafood Restaurant. 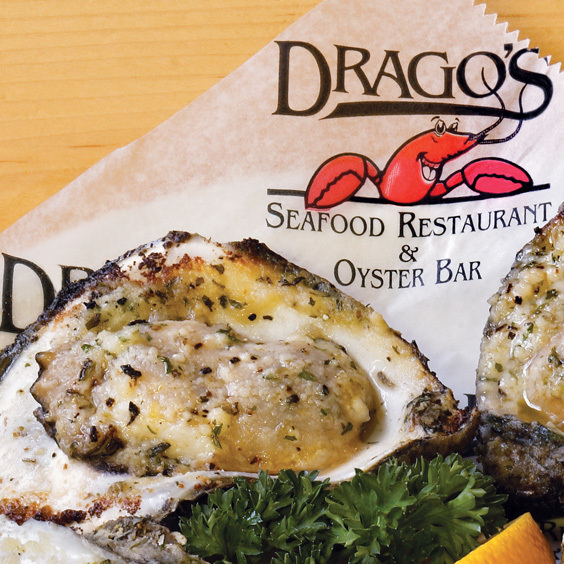 For classic charbroiled oysters, it’s hard to beat the original at Drago’s Seafood Restaurant. 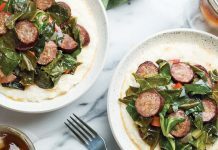 The restaurant has been serving Louisiana classics since 1969, when Drago and Klara Cvitanovich opened their first location in Metairie. 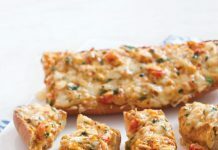 Their son, Tommy, was inspired to create the signature dish after wondering how the sauce they used on their Redfish on the Half Shell would taste on oysters grilled over an open fire. 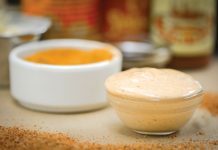 “Today, that is the exact same sauce that we used 25 years ago,” Tommy says.